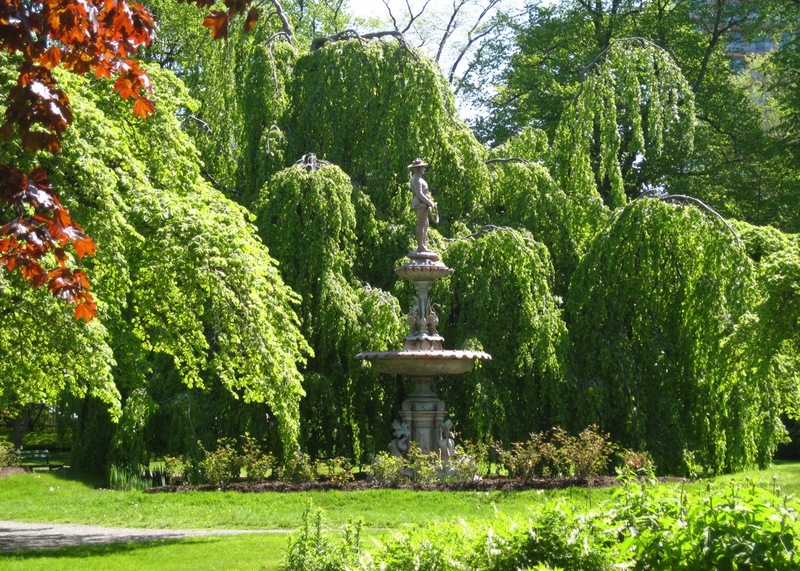 My favorite element of the Halifax Public Gardens are its trees. 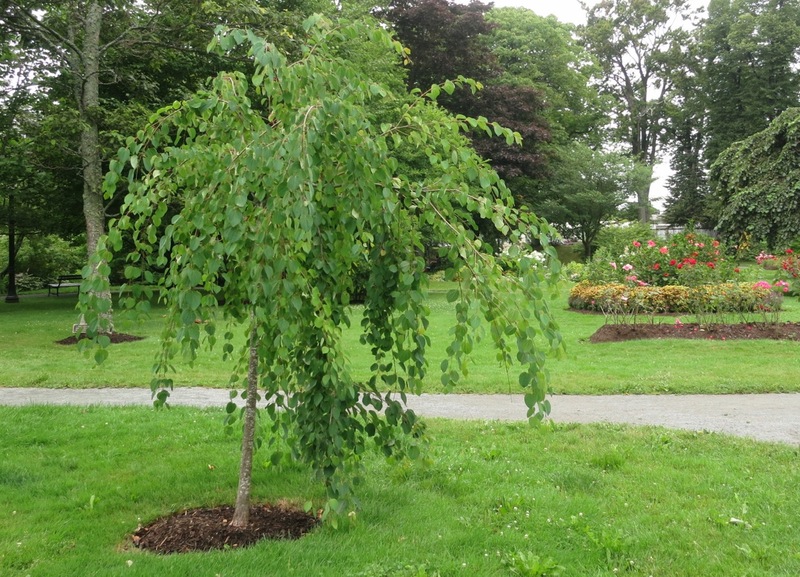 When Richard Power designed the amalgamation of the city block of gardens and fallow land which would become the Halifax Public Gardens, he used more than 2000 trees from the nursery of the Nova Scotia Horticultural Society. He planted them not only within the Gardens, but in the surrounding areas as well. 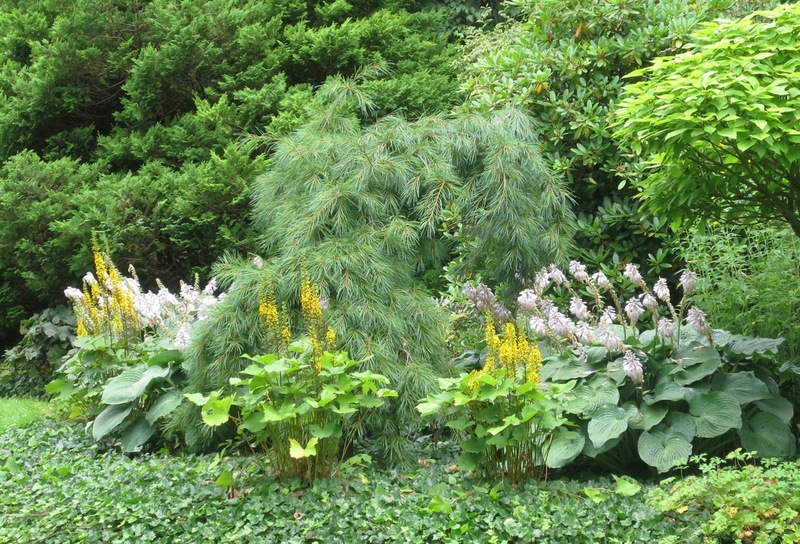 A perimeter of trees were planted to delineate this block, then he filled it with a varied collection of trees and shrubs as was fashionable in the Gardenesque tradition of gardening. Gardenesque dictated that the more shapes, colors, and species the better and if it was ‘exotic’… better still. Trees and shrubs were planted far enough away from each other so that they could be fully admired as a specimen. 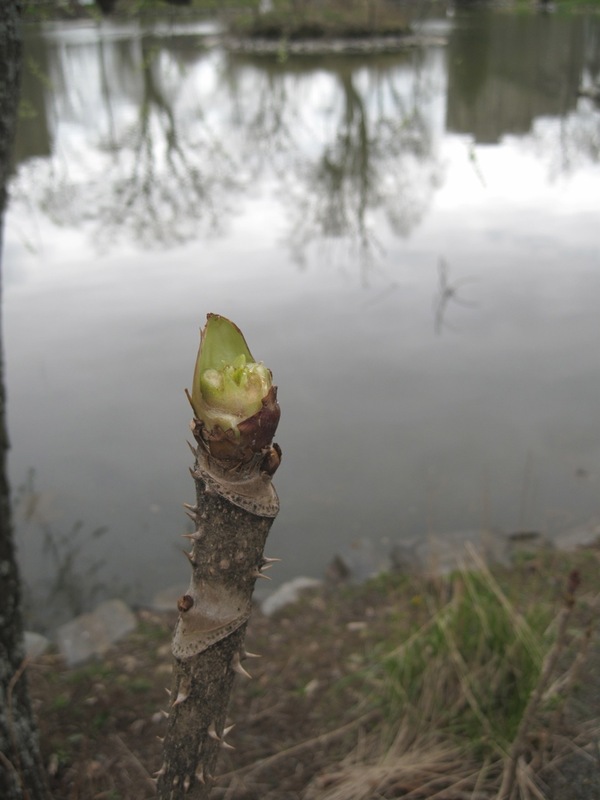 There are 126 different species surviving today in the Gardens. The real treasure, is that you can stand back and gaze upon a specimen that has attained its full stature. 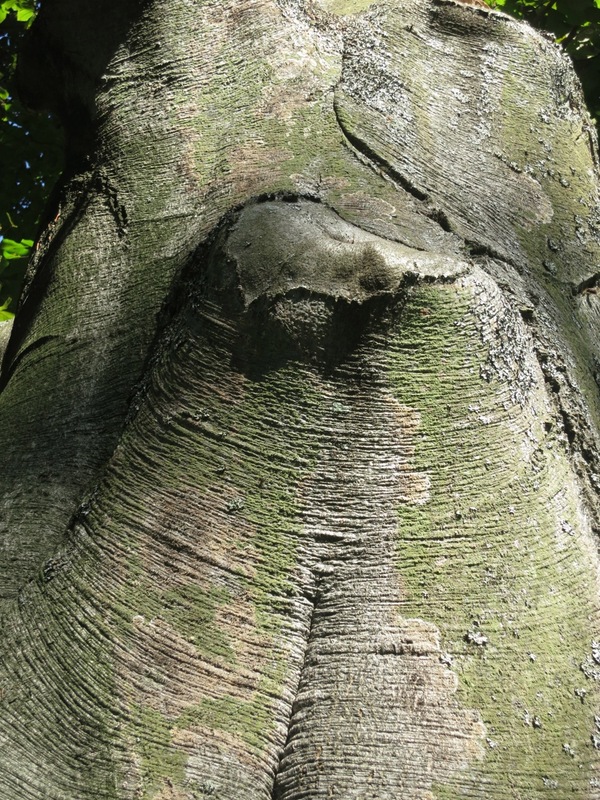 The variety of leaf shapes and colors, tree shapes, and variations in bark offer a bounty of interest in all seasons. Untouched by progress, these trees have stood the passage of time and borne witnessed to some amazing transformations in the city that surrounds them. Like Richard Power, the custodians of the Gardens who have come behind him, continue to add to this collection knowing that they are planting a legacy which will continue to be enjoyed by future generations. 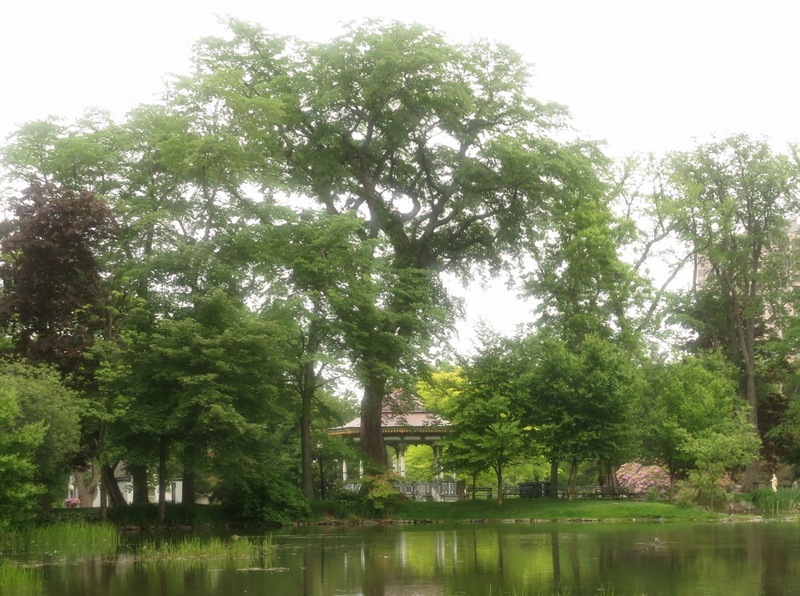 The grand daddy of them all… While this Ulmus americana (American Elm tree) isn’t technically the oldest tree in the Gardens, it towers over the bandstand and has a very impressive girth. Planted around 1875 as part of the Grande Aleé running down the center of the Gardens, it is one of the few survivors (in the Aleé) of Hurricane Juan. The Fagus sylvatica ‘Pendula’ (Weeping European beech tree) by the Boer War Memorial fountain wins the popularity contest. It is at least 110 years old and has been drawing gasps and providing shelter, to generations of visitors. 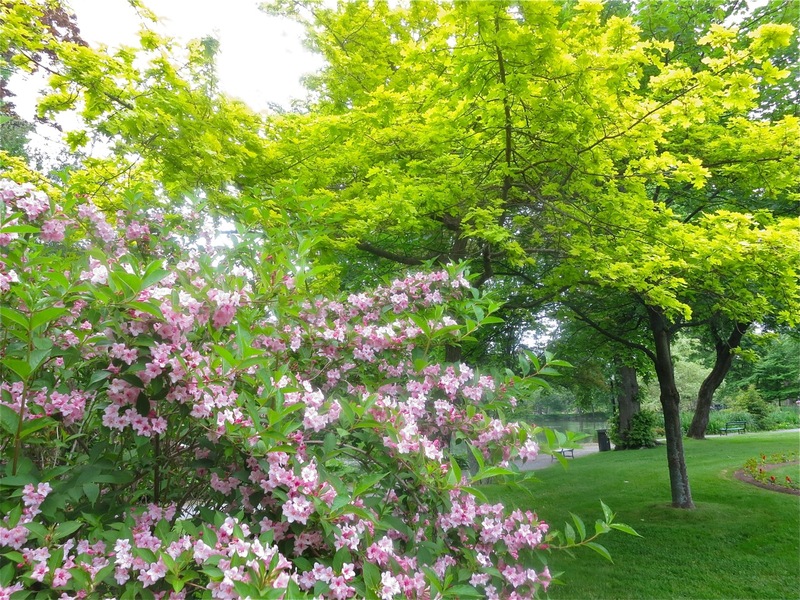 Often overlooked because of its location, this huge Acer saccharinum (Silver maple tree) stands on the SW quadrant of the Gardens, beside the huge clump of Rhododendrons (which appears small in this photo) along the Petite Alleé . The deeply notched lobes on the green leaves remind me of a Japanese maple tree, and form quite a sight when it’s silver undersides flutter in the wind. This particular variety also has striking yellow fall foliage. 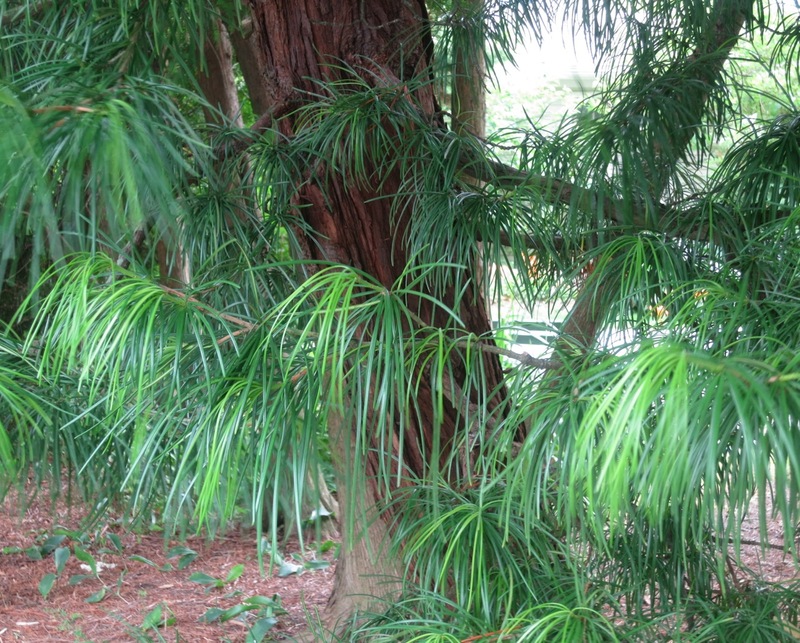 A stunning and unusual evergreen tree the Japanese Umbrella Pine (Siadopitys verticillata) is one of my favorite trees (I own one). The contrast of the blue-green fleshy needles and the mahogony furrowed bark is gorgeous. As an added bonus, the needles turn a coppery bronze during the winter (check it out this year, now that you can). It is a very slow-growing tree (this one is quite old). Some trees shine when they are in bloom and not particularly the rest of the time. Some shine not matter what season. Some just make you want to feel the texture and admire the ridges and swirls formed by the bark. A lot of the more interesting tree forms also happen to be slow-growing varieties which slowly unfurl their shape … very slowly. At this age, too slow for me. 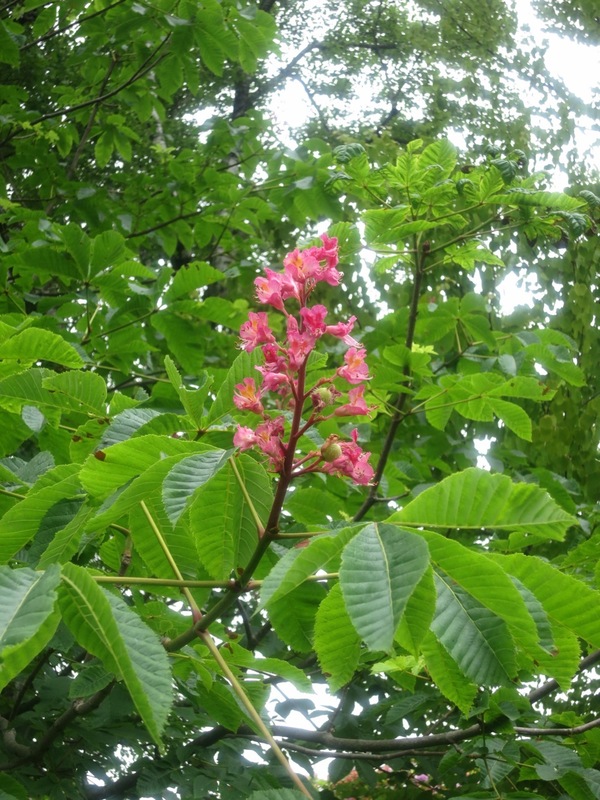 There are many beautiful tree flowers. Trees are both appreciated, and reviled for their scent. Part of the perimeter plantings from Richard Powers time. 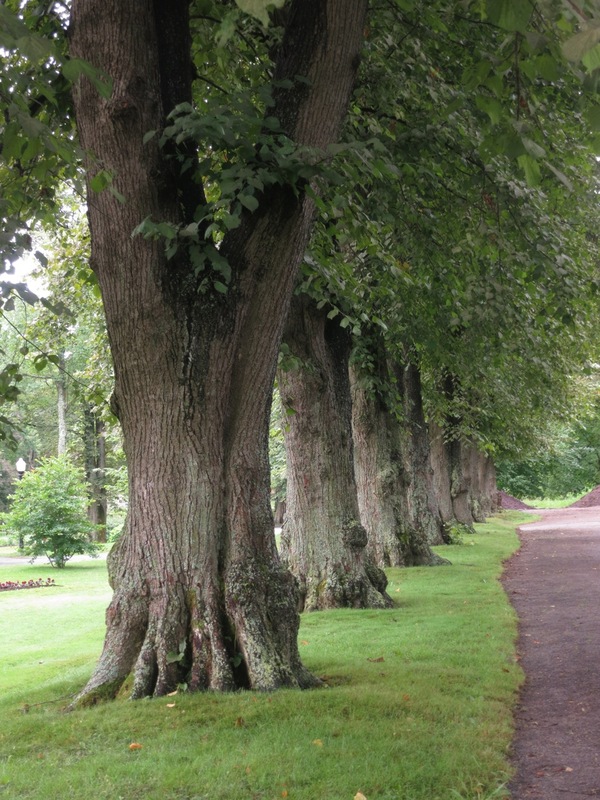 Lyndon trees were and are very popular in Europe, both for their scent and their architectural flexibility. There are many newish trees scattered around the Gardens. 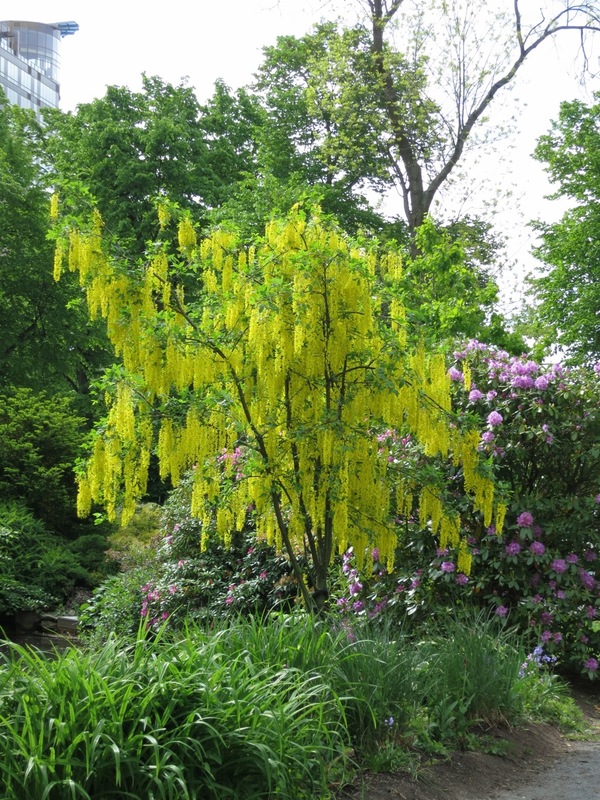 This is a brilliant tree to choose for this part of the Gardens. It is close to the weeping trees surrounding the Soldiers memorial fountain, and it’s weeping branches will hopefully allow us to get up close and personal when this weeping Katura tree releases its heavenly sweet scent in fall. It is important to always look to the future when managing a space that will remain (virtually) untouched for centuries and beyond (we hope). 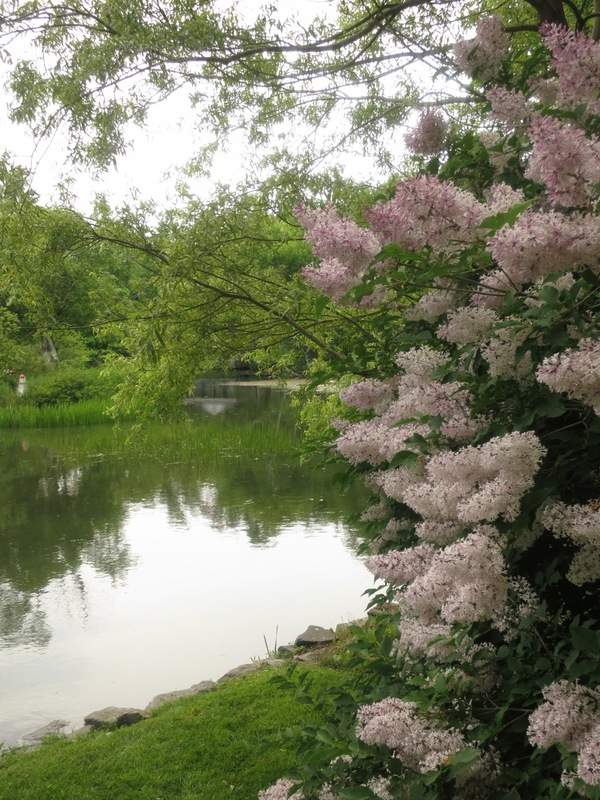 The custodians of today determine what the Gardens will look like now and in the future . 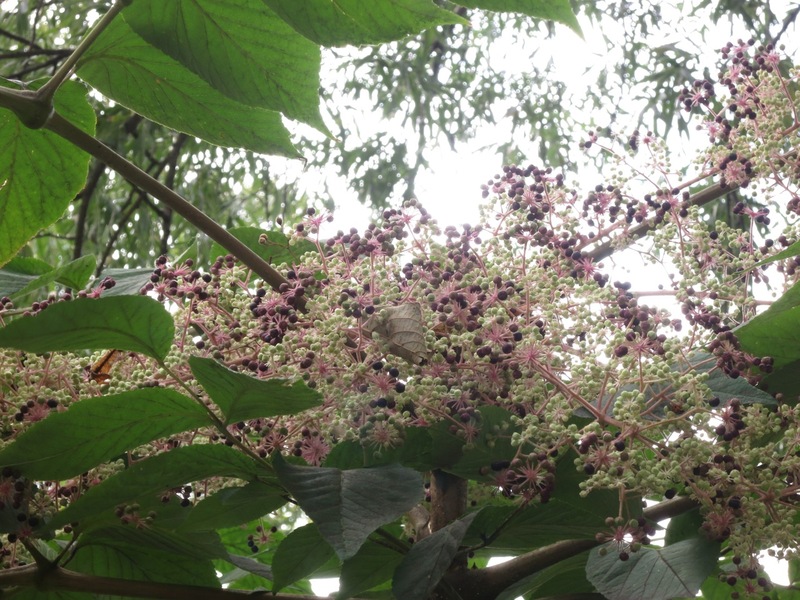 Our chief custodian (I like that title) will be introducing true to the Gardenesque traditions, hardy palms and other hardy exotics into the Gardens next year. Can’t wait to see how they do. 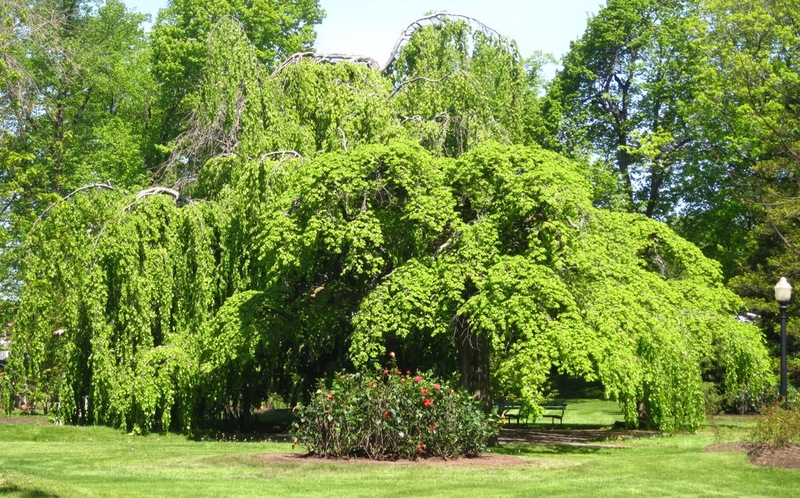 This entry was posted in Halifax Public Gardens, photo tour, Trees and tagged Halifax public gardens, katsura tree, Ulmus americana, weeping european beech by friendsblog5665. Bookmark the permalink. 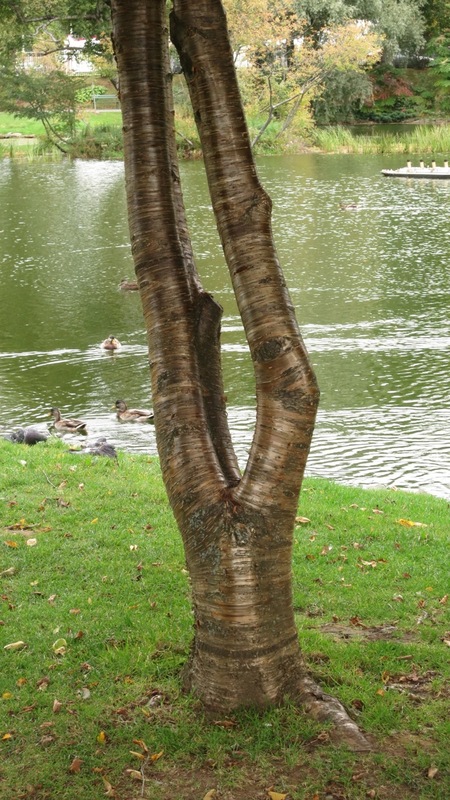 Serena – we love the trees in the Public Gardens too. 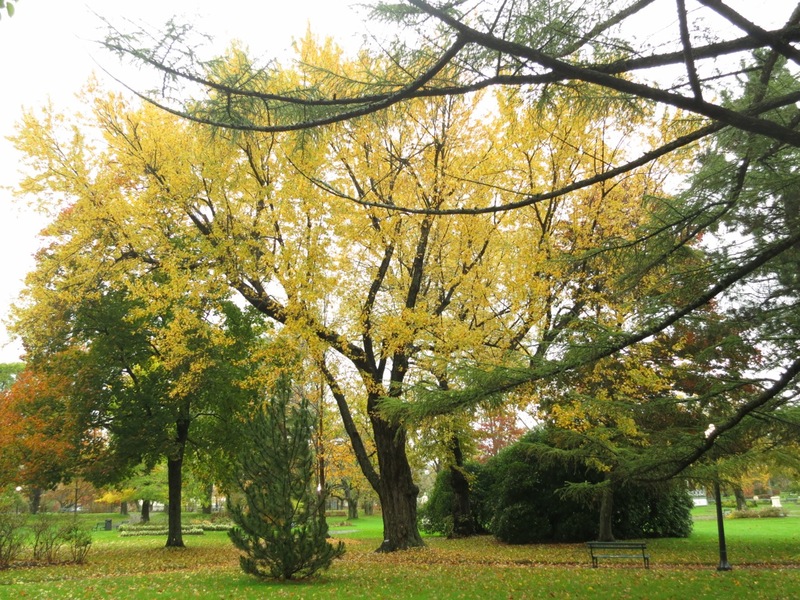 What a fitting tribute to our Garden!Your photos really show the trees at their best! Thank you so much!! !